I’m not what you’d call an expert on Chilean cinema. I doubt many Americans are, though I don’t know how much exposure films from Chile get around the world. My point is, I don’t have a lot of movies to compare this one to, and only around 550 people rated it on IMDB, so I doubt there’s a large discussion group meeting somewhere that I don’t know about. So I’ll have to hold this film up against like-mood American films in order to decide whether it succeeded in its goal, especially since there’s no entertainment factor to judge. No, To Kill a Man is a dark drama if ever there was once, a how-not-to-commit-a-crime movie in the vein of Fargo, but without the black humor. And since there’s really only one main character, you can’t even pick apart the ensemble or supporting actors. This was a difficult movie for me to wrap my brain around and critique, ultimately leaving me to rate it somewhere in the middle, fairly or not. Jorge is a simple man leading a simple life. He is the caretaker of a seldom-used estate in Chile, a hard worker and a family man. His wife Marta is overbearing & motherly. His daughter Nicole is quiet & beautiful. And his son Jorgito is steady & growing up fast. Life isn’t very exciting for this lower-middle class family, but that can change rapidly. Jorge is a diabetic, often stopping his work and daily routine to complete his tests and injections. Walking near his house on a random evening, he is stopped by a group of thugs who live in the projects close by. Their leader, Kalule, takes everything Jorge has, including his insulin, brushing the simple man aside without a second thought. But when Jorgito learns what happened to his father, he is determined to retrieve his things, inadvertently challenging the bully of the block. You can imagine that things do not go well. People get hurt, the police become involved, and Kalule begins harboring a grudge against Jorge’s family, a grudge that doesn’t fade with time and becomes more violent with each passing month. 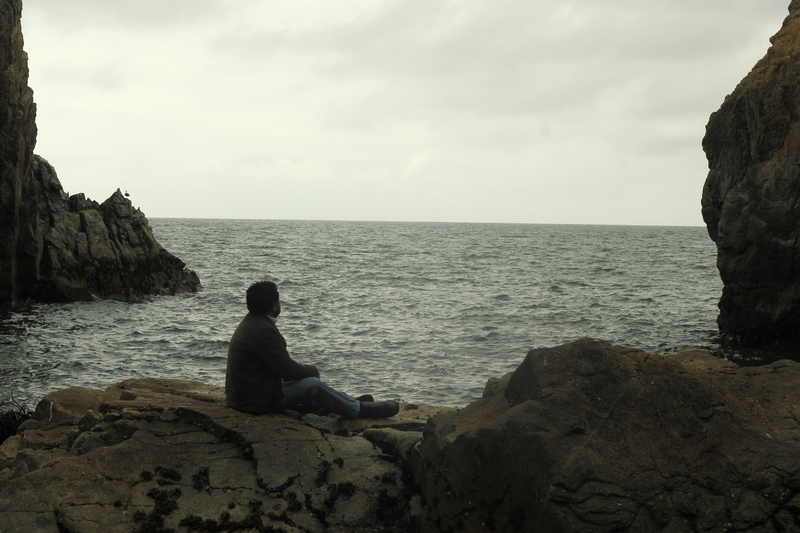 With his family threatened, Jorge must decide his course of action. Does he allow the police to take care of the matter in their own slow way, or does he take fate into his own hands? Killing a man isn’t easy, and even pondering violence is so foreign to Jorge that the internal struggle begins to eat him alive. Kalule has taken everything from him; his old life, his loving family, the innocence of a man who never wanted the insane drama that now surrounds him. And so a decision will be made, an act will be carried out that can never be undone, and guilt will haunt the undeserved no matter where they run. With a pace that will surely scare off most audiences, To Kill a Man becomes a slow boil that perhaps never bursts its lid. There’s a contained anger & violence that simmers throughout the film, building up but never really releasing in the way that would be cathartic for anyone involved. That’s not to say that there’s no action, but even the most exciting moments are muted, with restrained emotion that Jorge keeps deep inside instead of exhibiting straight out. For those reasons, it would take a certain person or a certain taste to enjoy this quiet drama. It’s very heavy, very dark, never hopeful, and always dismally portentous. However, there could exist certain individuals who this film speaks directly to, or at least unfolds at a pace that they might love, giving them a film that has more beneath the surface than might be readily apparent. 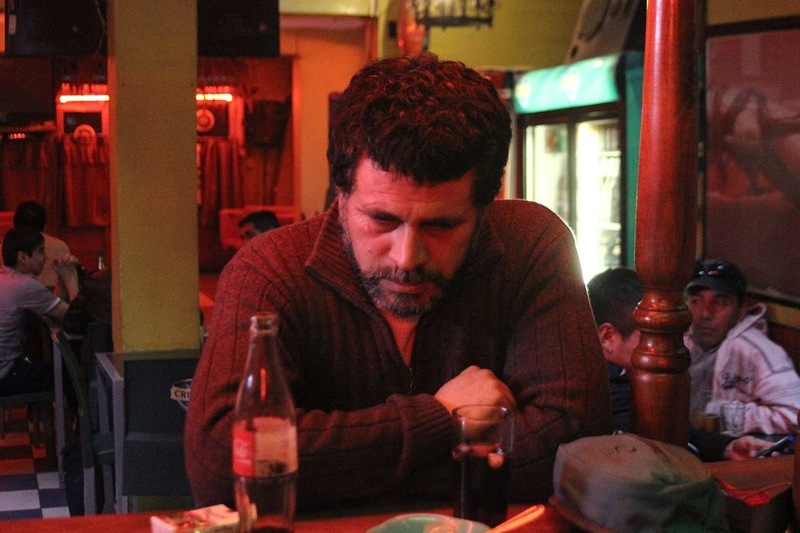 Taking the story completely on his back is Jorge, played by Daniel Candia. He is the sole lead, with the evil Kalule being more of a darkness than a man, and his family becoming a catalyst to action rather than important characters. No, the movie is about Jorge, the man who must decide what is necessary and at what cost the right choice will come. Candia portrays him very well, coming across as normal, non-confrontational, realistic; an everyman that helps audiences relate to the difficult situation that abruptly becomes the focus of the film. It’s a solid story with a strong actor to pull it off, but To Kill a Man is never going to be a film that excites the masses. It’s a touch too slow, a hair heavy, and is difficult to love, becoming a showcase movie but not an attention-demanding one. Watch with caution and a knowledge that all will not end well. Video – With an aspect ratio of 2.35:1 (16×9 Widescreeen) the video quality is good enough but not amazing. The visuals are meant to be intense, with the camera often not moving at all, creating uncomfortably long shots and dramatic scenes. The color is often muted and dark, with a picture quality that is fairly crisp but never stunning. Audio – The language of the film is Spanish, with an option for English subtitles. The audio choices are between Stereo and 5.1 Surround. The sound quality is quite good, with an infrequent use of music. However, when audio effects and/or music are used they are intended to create a brief, intense moment, a build up of sound that you expect to explode, but never does. Extras – There are quite a few extras on the DVD. A fifteen minute interview with director Alejandro Fernandez Almendras gives some insight into the film. There are eight deleted scenes: Jorge Is Working, Jorge Goes Down The Hill, Jorge Walks At Night, Jorge Looks For Kalule’s Body, Jorge Goes To The Doctor, Jorge Chats With A Hunter, Kalule Attacks Nicole Original Sequence, and Kalule Attacks Nicole Comparison With Final Sequence. There is a paragraph biography of the director. There are seven trailers: To Kill A Man, Salvo, Cannibal, For a Woman, Clandestine Childhood, Room 514, and Alexandra’s Project. A short film can be viewed; Our Blood, lasting 25 minutes, “where a brother and sister meet for the first time on an isolated bison farm and are soon seduced into transgressing primordial law”. And lastly, a paragraph about Film Movement and a short film reel from this distributor. Recommended. To Kill a Man will never be a largely-loved film; it’s far too off-putting and slow-moving. 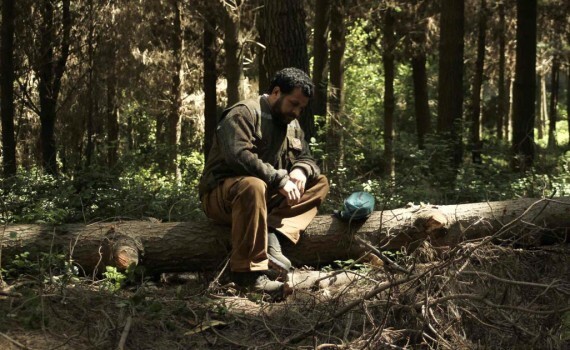 It has a quiet fervor, dark drama, and bottled up emotion that only rarely exhibits itself. However, this style creates a heavy atmosphere that might be uncomfortable to watch but should also be respected as well-crafted and intentional. There’s talent on display here, if audiences can be patient enough to see it. The video is nicely done, the audio is solid as well, and there are many extras on the DVD. I can’t recommend this film to everyone, but there is a quality that can’t be denied.